Yahoo: That what happen when you do too much drugs. This is a boring place, get the hell out of here! Most likely you are not very different from me and I am not very different from you. Yet, we are not equal. Do you know what would have been ironic? If every one was made of iron. My religion is Shananism and I only obey orders given by Zero-sama. This is suuuuuuuuper old.. but... may I ask how http://www.google.com/language_tools?hl=EN is related to a Shana font? 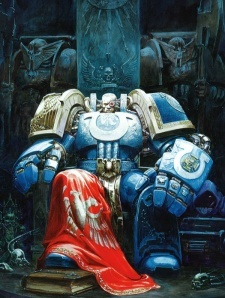 Heh kinda wierd seeing someone with a pic of Marneus Calgar on a site like this. 4 da emprah. 4 Sanguinius. Again, I buy all my mango from the Book Depository. Because, you know, it's cheap and they've got worldwide free deliveries. Yep, I know. I've read it. It was released like, June 30th, though their website still says August 15th. Oh them. Now if you'll excuse me, I'll go beat myself for being called "kind". This really ain't my day. Since you've read up to chapter 45, you'd want to get volume 8-9. Vol.8 covers chapters 44-49, and vol.9 is chapters 50-53. Vol.10 will be out on July 5th, if I recall correctly. And instead of Amazon UK, I'd recomment the Book Depository. Here's vol.8 and here's vol.9. Now, if you'll excuse me, I'll go beat myself for spontaneously helping a stranger. I didn't see Jing: King of Bandits on you list. As I said its a good short series. Lol yeahh Full Metal Panic was a good series. Kinda wish they would continue from where second raid left off... but oh well. Any Anime you would recommend thats not on my list?